There are only a few men in history who can rightfully claim at least some credit for helping Boston open America’s first subway on September 1, 1897 — on time, and even under budget. There was Mayor Nathan Matthews, who many call the father of Boston’s subway for his role in getting the skeptical public on board with the idea in the early 1890s. 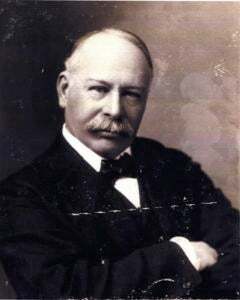 There was Henry Melville Whitney, the silver-haired, nearly deaf Brookline businessman who controlled the West End Street Railway Company and who was the first person to boldly propose digging a subway tunnel under Boston Common back in 1887. There was Michael Meehan and Edwin Jones, the Jamaica Plain contractors who dug and built the first leg of Boston’s subway, the stretch along Tremont Street from Boylston to Park. But none of those men can make the claim that Frank Julian Sprague can make. Because without his invention of an electric motor traction system that could power an entire urban transit operation, Boston’s subway would have been delayed years — maybe even decades. Until the electric motor came along, streetcars and subways were powered by all sorts of things — batteries, horses, cables, and coal powered steam — all of them expensive, unproven, inefficient, or ill-suited for city life. 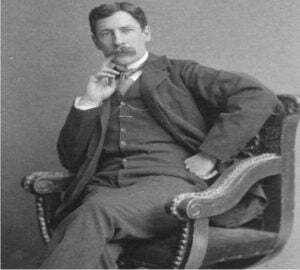 So, just who was Frank Sprague? An unsung hero in American engineering history and the deserving subject of a new PBS American Experience documentary about Boston’s subway history called, “The Race Underground,” Sprague got lost in the wake of Edison, Morse, Bell, and Tesla. As a bright young man raised in Connecticut, he intended to go to West Point. Instead, he showed up in Springfield, Massachusetts and accidentally took the exam for the U.S Naval Academy. When he scored higher than everybody else, he became a Navy man. While serving on board the USS Lancaster, the flagship of the European Squadron, Sprague installed the first crude electrical call-bell system in the Navy. Though Sprague once worked for Thomas Edison, he felt that Edison received unfair credit for work on the electric motor, and actually tried to get the wording on Edison’s Congressional Medal of Honor changed so as to not overstate his contribution to the motor’s development. Sprague arrived in New York City from London to go work for Thomas Edison on May 24, 1883. As he stepped off his ship, he noticed a huge parade making its way east across the city. At the time he didn’t think twice about the celebration. Only later would he learn how historic it was: The Brooklyn Bridge was opening. Sprague’s annual salary to work in Menlo Park, N.J. with Edison? $2,500. One of the first uses for a Sprague electric motor was in an elevator at a furniture dealer in Boston. It sparked a wave of sales. Within months, 250 motors were in use around the country and Sprague had a catalog listing all his motor sizes and uses. In order to convince Henry Whitney that his electric motor and central power station were powerful enough to run the entire Boston streetcar system, Sprague lined up 22 Richmond streetcars at midnight in July 1888, waved a lantern in the air, and the two men watched as the streetcars slowly inched up a steep hill and disappeared. 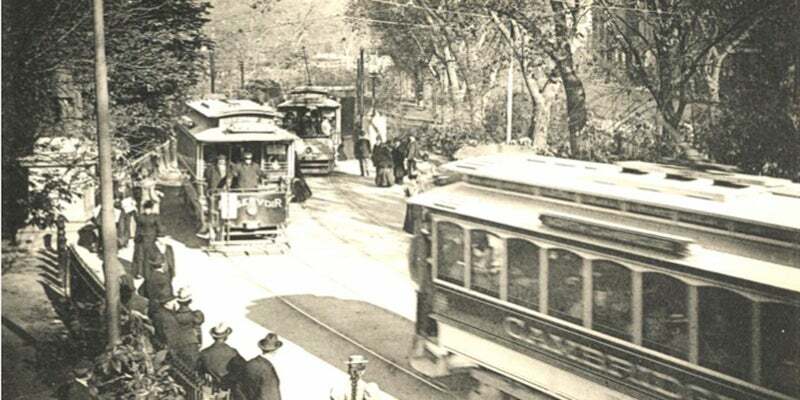 Richmond became the first large-scale electric trolley line in the world. In 1890, Sprague established the Sprague Electric Elevator Company. His electric elevators were soon installed in several New York buildings, and eventually 600 worldwide, before he sold it to the Otis Elevator Company in 1895. Only one year after Edison’s historic breakthrough in Richmond, Virginia, which triggered an explosion of sales for his motors, Sprague’s company still lacked the financial capital to survive, and was bought out by none other than Edison General Electric Company. Within months, the Sprague name disappeared from all of his motors and equipment to be replaced by the Edison name. 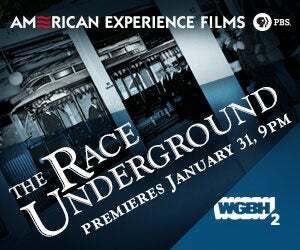 “The Race Underground” airs on January 31 at 9 p.m. on WGBH 2.